What is most important when considering a Sacramento rental property renovation? The kitchen is often the focal point of the home. So what are the must haves, and what can you pass on when renovating the kitchen? Andrew Shearer of Sacramento Handyman dives into the rental property kitchen to break it down. Owning a rental in Sacramento is an excellent source of extra income. When starting out with a rental property or after a tenant moves out, it may be necessary to make upgrades to the unit to drive in new tenants. 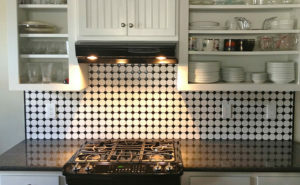 The most popular update that will attract the most attention are renovations done to the kitchen. A kitchen, nine times out of 10 is what sells a renter or buyer on a potential home. After opting to take the plunge and revamp your rental’s kitchen, there are some essential rules to follow, namely, what should you invest in and what should you pass over. There are numerous aspects of the kitchen you can improve or change, but not all of them will give you the biggest bang for the buck. Before getting into the tasks you should take on versus the ones to leave alone, let’s discuss cost. Rental units are meant to make you money, correct? For most individuals this means trying to get a renovation done on the cheap. Underspending and cutting corners could end up hurting you long term, and even in the short term. Reusing or repurposing materials is one-way people try to save money on a renovation. However, some elements just aren’t in the best of shape. Reusing specific materials won’t last as long as new ones, which means you will be spending more money to replace a feature a year or two down the road. Countertops can make or break the whole appearance of the kitchen and is also the most considerable expense in most cases. If your current countertops are chipped, cracked, or made from cheap material, it might serve you better to pay a little more to get a high-quality countertop. Renters in Sacramento will appreciate the quality, and you will be able to ask a bit more rent with higher-end features. If you have just purchased a rental property in Sacramento, and are considering changing the layout of the kitchen, you may want to reconsider. A layout change is a costly endeavor. Once you start taking cabinet, counters, and flooring out, you will end up with more things to replace or repair. This, on top of hiring a professional plumber to reroute pipes, might not be worth it. Take a glance at the layout and decide if it is functional. In most cases, changing the design is unnecessary. 3. Are New Appliances Required? Are the existing appliances older? Are the appliances faulty, or have you had to make several repairs to them? If you answered yes to any of these questions, then it might be a good idea to upgrade the appliances. Renters in Sacramento appreciate new, updated appliances. The excellent news for you is more modern appliances will come with a warranty and be virtually maintenance free for at least a few years. In general, it is a much simpler and cost-effective idea to repurpose cabinets. In rental units, using just a different stain or paint can breathe life back into an outdated kitchen. 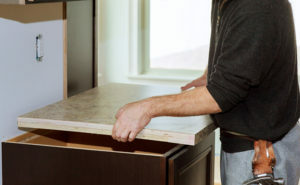 If doors or drawers are broken and unrepairable, replacing a single cabinet will be well worth the fix. There is no need to throw out the cabinets and replace with new ones if the old ones are in good working order. In many cases, it is just best to pass over spending money on new cabinets. *Tip* Change out the hardware to match other features in the kitchen. This is an inexpensive solution that will create a fantastic appearance. Flooring is a problematic feature to approach. Deciding on whether or not to scrap what you have will often come down to condition and age. If the flooring is old, cracked, or simply hideous, exchanging it for a cost-effective laminate or tile that is on sale might help you to reel in new tenants. Flooring is one of those features of the kitchen that will be a focal point. Also, don’t forget to match the counters and cabinets. The sink is a central feature of the kitchen and provides a necessary function. Many Sacramento property owners think this is a place you should spend money upgrading. However, a cheaper solution is just to replace the fixtures such as the faucet. Typically stainless steel kitchen sinks are enough for renters, but having a new faucet and sprayer can make a huge distinction in the overall look. 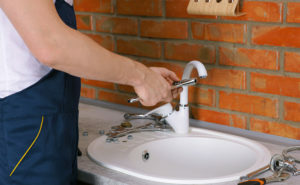 Pass over replacing the sink basin, and simply upgrade the fixtures. When considering updates to the kitchen on your Sacramento rental property renovation project, keep your costs in mind. If you will be replacing fixtures or features, spend the money on higher quality materials. In doing so, you will have products that last longer and require less maintenance, translating into savings in the long run on your rental property investment. Andrew Shearer owns and operates Sacramento Handyman, a local handyman service company. His company provides valuable assistance with modifications to homes for the elderly as well as general home improvement needs. He is exceptionally knowledgeable on topics of repairs and improvements to make a home function correctly and safely. Visit SacramentoHandyman.com to learn more.